When I was 10ish my father took me on a mountain run for an Alfa Romeo club event in his Alfa 164Q. That was where my obsession for cars began. I loved everything about cars and would spend all my time watching car shows or playing car games. Eventually I got a force feedback steering wheel for my PC and I can remember staying up very late for months playing games with a Sim steering wheel. As soon As I had a learners permit for driving I started to go drive AutoX and HPDE's with my father in his now E46 M3 at the time. My first car was a 1972 Datsun 240Z, it was actually one of my driving instructors racecars from an HPDE event...You can say that's where my obsession with Nissan's began. This was 2008. In 2009 I went to my first drift event to spectate which was the Turner Field events in Atlanta. That's where I got to see the Signal Auto R34 in person. 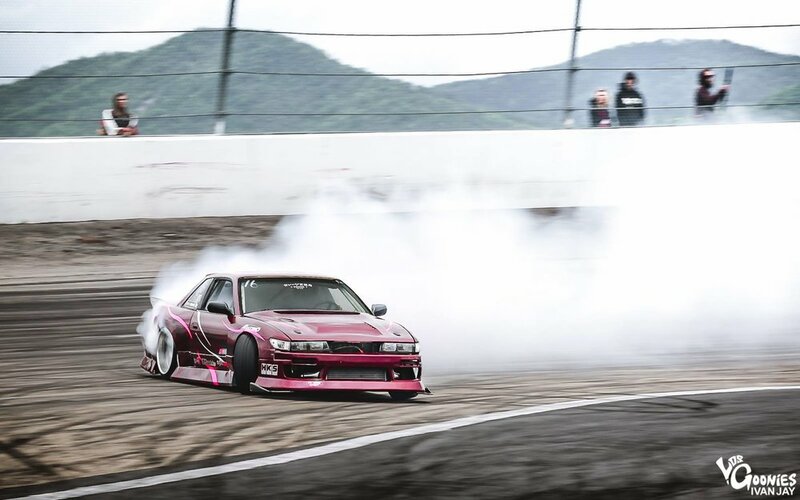 After this I really started to get into drifting instead of just grip style. I eventually welded the differential in the 240Z and drove it to a drift event. After that I decided that I needed a 240SX. I started with a SR20 Hatch, I instantly went to street drifting and throwing a bunch of parts at it and even going Sil80 on it when I got a Silvia front for a good deal. 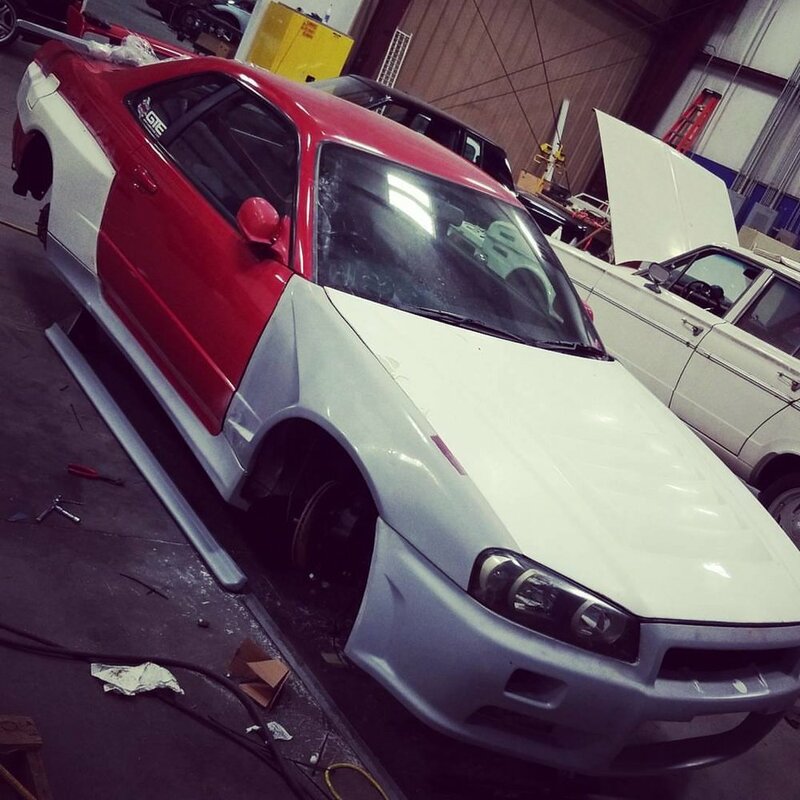 After painting the car one color it still just didn't look right and I did not like it. At this time I had another friend with a 240sx and he wanted a hatch. So we shell swapped and I kept the Silvia front and my S13 coupe was born. It was ugly at first but it got better and better step by step. I started working for a repair shop in college and ended up working more then going to class... This was when I decided to drop out and be a mechanic full time. This was okay for awhile and I was making enough money to be able to go drifting at local events. Then I got in my first drift team and met my team mate Sebastian Suaza. 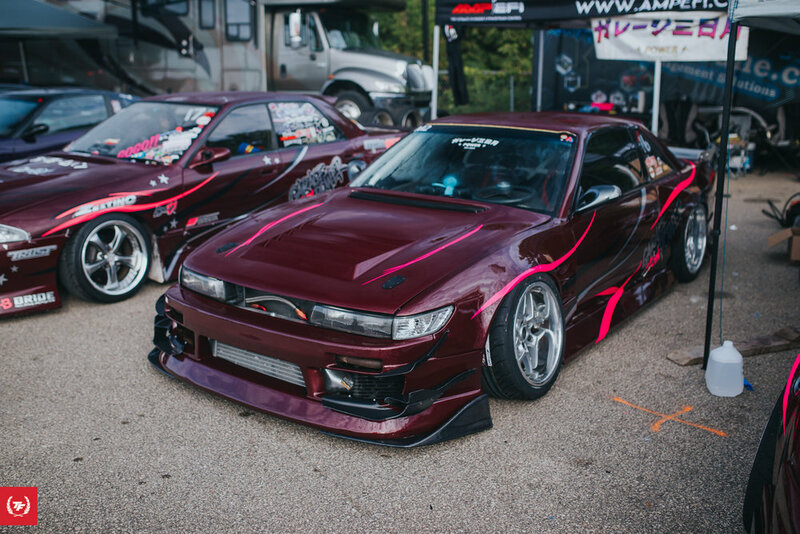 The drifting scene started to die in ATL and all of the other team mates sold their cars. It was just myself and Sebass left. We then asked for permission to take it over and ultimately decided to just start over and Garage Moon Power happened. My 240Z went through many phases. First it was L24 triple Weber Carb, then the quest to make the car faster and faster started. The first engine swap I did was L26 then that was not enough so then I decided to go L28ET (Turbo) which also meant converting the car to fuel injection. By this time I was 18 and had learned a good bit about cars. I installed my first standalone ECU on the 240Z, again trying to make the car faster. This was a major learning experience. After the system was installed and running I had to go get the car tuned. I then took it upon myself to figure out how to tune the car enough to be able to at least make as much HP as the stock Turbo ECU. Eventually I ended up getting a job at the same ECU manufacturer I had installed on my 240Z as a temp at first but I was smart and good at whatever they needed me to do so I moved through the company from position to position. I started just soldering circuit boards for them to moving to technical support and eventually doing their in-house calibrations(tuning) for their plug and play ECU's. At this time I also began installing systems and tuning my team members cars in the pursuit to make all of us faster as a team. Final Bout Special Stage Central happened and Final Bout 3. Shortly after I was given the opportunity to acquired the R34 shell. 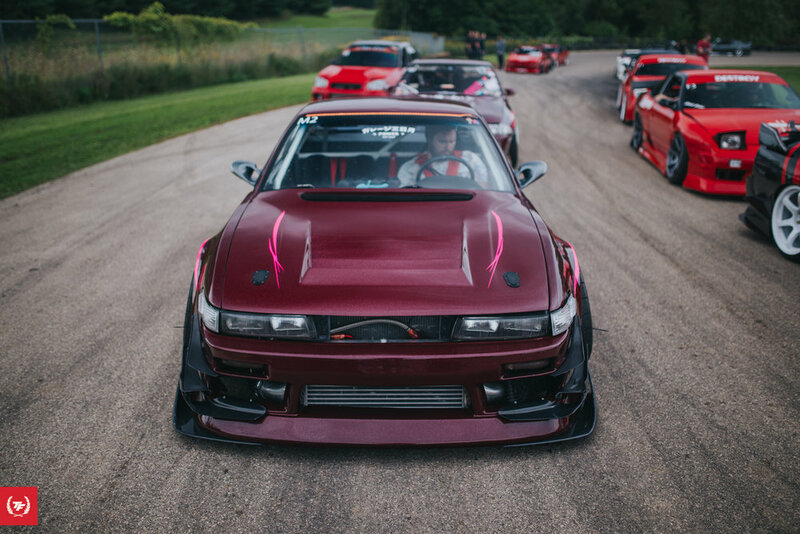 I could not just stop driving the S13 and sell it. I felt it would take to long to complete without loosing valuable seat time. This meant I needed money for car parts. After some frustrations with the company on pay, false promises and other matters I left and went to work at a local import tuner shop. Here I was a mechanic and the backup tuner. After quickly acceling past the other tuner at the shop I was doing all of the tunes and began tuning any platform ECU and really expanding my knowledge base more. I eventually felt I became constricted by the shop and have now started my own dyno tuning business. My goal has always been to go fast. I love speed. Being fast takes precision and accuracy. I just have always built and tried to drive my cars to be faster then the other guys. 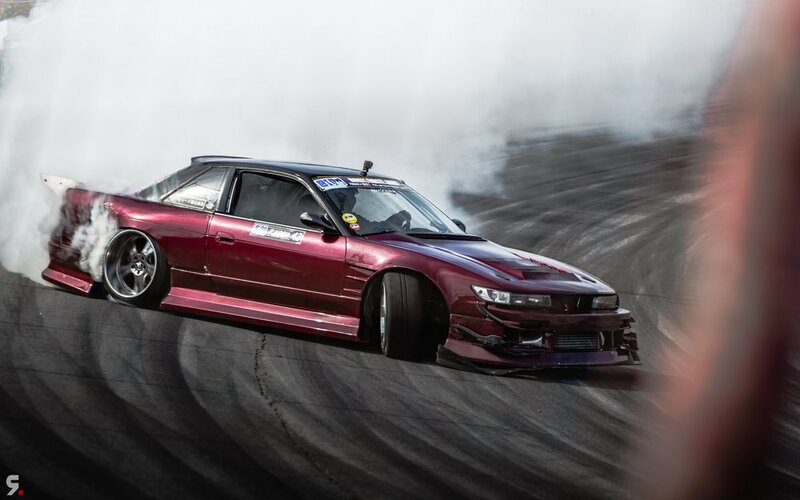 My idol for drifting is Naoki Nakamura, I try to emulate his driving style as best I can. I feel it is the most exciting and fun way to drive. Always pushing to the limit.